Pro-Tuff Structural Panel Door The Pro-Tuff door will enhance the appearance of any door opening. The combination of stainless steel and advanced polymers is attractive enough to be used in the home or office but is designed and rugged enough to stand up to heavy industrial traffic. Cool Curtain Strip Doors Strip Doors for use in Refrigeration. Strip doors significantly reduce energy consumption and compressor workload. Our vinyl strip doors extend product shelf life by maintaining a more consistent temperature inside walk-in coolers and freezers. Strip Door Benefits Strip doors save on heating oil and air conditioning. Strip doors significantly reduce energy and compressor workload consumption. Strip doors allow for easy passage of personnel, carts and machinery, while controlling insects, birds,dust and debris. Clear VU and Impact Swinging Doors Two Panel doors open with less than 1 lb. of pressure. All Impact doors have the unique spring assisted gravity hinge. CCI's Impact Doors significantly reduce energy consumption and compressor workload. 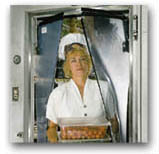 Impact resistant doors extend product shelf life by maintaining a more consistent temperature inside walk-in coolers and freezers. Ruff Tuff Door Our toughest door to date. This long lasting door will save you enormous amounts of cash during any energy crisis. Having an overall thickness of 1.5" and being heavily insulated, we introduce you to CCI's roughest, toughest door yet. Built with the uppermost durability, this door can withstand years of brutal punishment by you or any of your staff. If extreme durability and cooling is your goal, look no further than the Ruff Tuff door! Impact Doors Impact doors extend compressor life. Impact doors open with less than 1 lb. of pressure and are easier to walk through than strip doors. Impact doors will not let moisture affect them, panels don't stick together like strip doors. CCI's impact doors have two clear panels per doors for maximum visibility and door panels don't drag over carried or crushed items. Our impact doors have two panels keep in more cold air than strips do. Vertical adjustment for proper impact door door fit. Impact doors keep food fresher, safer, longer. Impact doors simply control temperature better. CCI Air Curtains CCI Air Curtains generate a controlled screen of air across door openings helping you meet local health and sanitation requirements. Air curtains prevent the entry of airborne dust, dirt, insects at your door. CCI's industrial air curtains help you meet local health and sanitation requirements. They generate a controlled screen of air across door openings which creates an air barrier to keep warm heater air or cooled air inside your building or store. Case Keepers Reduce your energy cost, by not loosing your cool. Keep your cooler under wraps. Don't let another moment go by that you are tossing away money by wasting electricity. Don't let the energy companies steal your hard earned money. Contact one of our qualified sales people to see how much savings you will see from our product. Being constructed of the toughest materials available, our Case Keepers will be sure to last. With a thickness of .04 mil plastic and all aluminum hardware your Case Keepers will give you years of service. Add-A Broiler/Griddle Add-A Broiler/Griddle gives you the option of an additional broiler or griddle WHEN YOU NEED IT! Increase the versatility of your busy stovetop. Save kitchen space and money by having the option to utilize your range top with a broiler, griddle, or both with portable ease and simplicity. Cleans in minutes. No need to spend extra equipment dollars for separate broiler and griddle conversion units! Four-burner Model No. 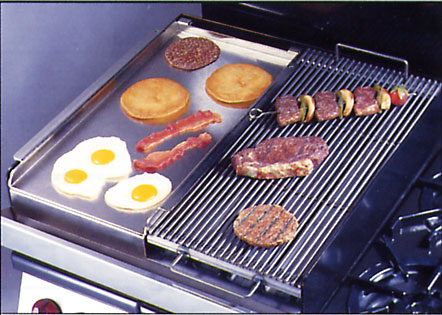 ABG2-2 can be used half griddle and half broiler at the same time. Chop 'N Chop Protect against stains, cuts or scratches to rigid cutting boards or any flat surface when used on top! Slice, dice and chop...then pour food directly into pans or bowls with ease. These commercial cutting mats help prevent bacterial cross-contamination between foods. Now with antibacterial properties built-in to the plastic to inhibit bacterial growth. 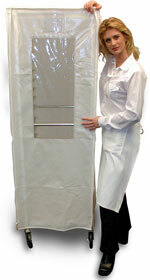 Rack covers CCI Rack Covers keep your products sanitary and protected until ready to use. Rack covers prevent the entry of airborne dust, dirt, and insects CCI's Rack Covers keep your products sanitary and protected until ready to use. Eliminates odor transfer. Rack Covers are made of sturdy 12-mil vinyl with heavy duty vision zippers, reinforced top and extra-strength lock seam stitch with binding. Available in ClearVU or Woven. No-Zap Flytraps CCI No-Zap fly traps are Guaranteed to control your fly problem, safely, silently, effectively with no zapping sound and no burning smell. Our fly traps are Guaranteed to control your flying insect problem!!! No-Zap fly traps are safe, silent and highly effective. No flytrap zapping sounds. No fly trap burning scents. Flies and other winged insects are attracted by the ultraviolet light (harmless for humans and pets). The fly trap sticky pad is laced with a sexual attractant (pheromones) which also helps to lure the insects onto the pad from which there is no escape. NeoTrans Back-Lit Electric Signs NeoTrans Backlit Signs offer a brilliant neon like appearance without being fragile like neon. Our Message Signs are perfect for you! Backlit NeoTrans signs offer a brilliant neon like sign for an appearance of a neon sign without being fragile like neon. NeoTrans signs offer a brilliant backlit neon sign like appearance without being fragile like neon. Built-in light reflectors double light output in the sign light box for the brightest possible illumination of your message. NeoLite Illuminated Message Signs Put your messages in NeoLite! 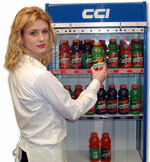 Create eye-catching promotions in seconds with CCI's NeoLite Signs. NeoLite illuminated signs use the fiber optic principle which creates a neon sign effect. NeoLite signs instantly grabs your customer's attention, bringing to life the message you have written on your NeoLite sign. Whether it's a bakery special or sale time, you will enjoy a tremendous increase of sales because of the greater awareness of your message.